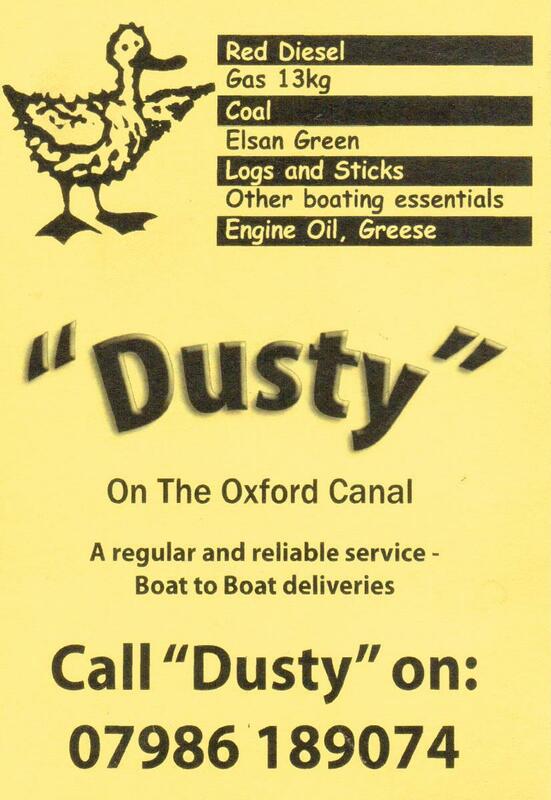 As I mentioned in my last post we spent some time with our friends sharing old photos, some of our first holiday on a narrowboat on the South Oxford Canal back in 1983! Here are some pictures which I hope you enjoy trying to place the locations where I’ve failed. Farm between Priors Hardwick & Wormleighton? Haynes Lift Bridge 170 from Foxes Lift Bridge 171? We had planned to boat back up to Cropredy Friday night, but after feeling a bit unwell in the week things only got worse and Friday morning saw me contacting NHS Direct & visiting Banbury Heath Centre which offers a walk-in service for unregistered patients who are unable to go to their own GP practice. The doctor poked, probed and then declared I had an infection of the lower intestine and prescribed antibiotics strong enough to fell a horse. 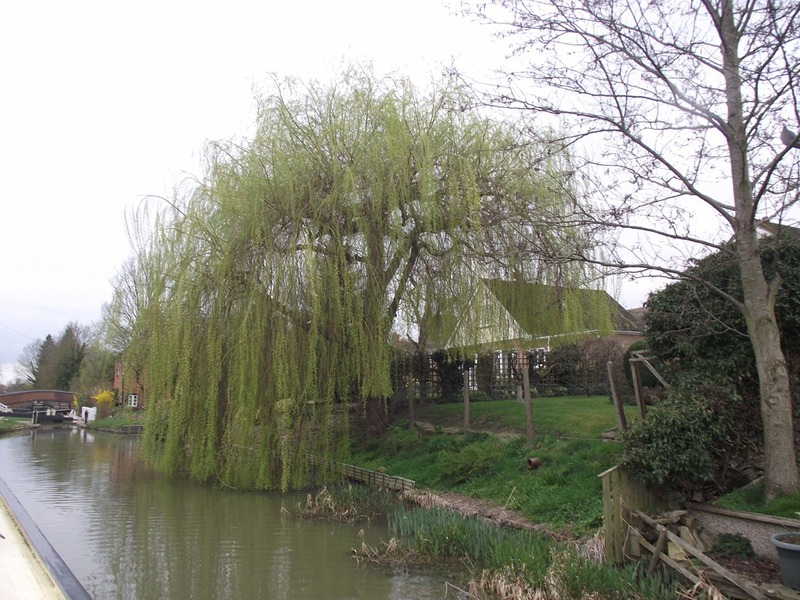 By Sunday I was feeling well enough for the trip up to Cropredy, but was ‘done-in’ by the time we got there. We had planned to visit our friends, Ted & Carol, in Leicester the next day but they kindly volunteered to come to us and crew for our trip back to Claydon. Unfortunately they were delayed by a closure of the M1 and we wondered if we would make it to Claydon Bottom Lock before the flight was closed for the day as part of water conservation measures, never-the-less we did the necessary car shuffling and were off by 11:30 and with all the locks in our favour, just made it in time to see the BW man standing at the lock! Was he locking it up? It was 15 minutes before the deadline. No, he was opening the paddles ready for us to go through… Hoorah! 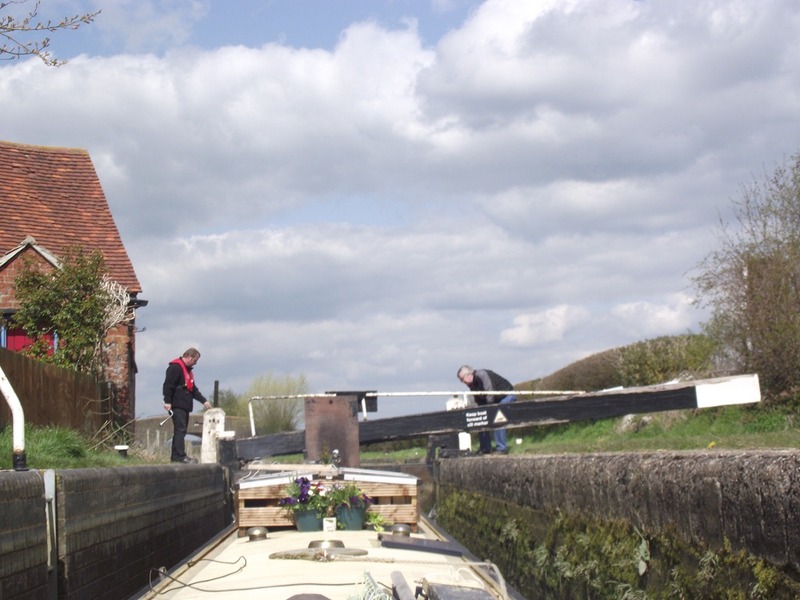 We fairly flew up the locks with Ted and the lockie getting the paddles & gates ready for us and we arrived back on the summit level in time to spend the afternoon reminiscing over old photos and sharing a meal together. Thank God for good friends, well we have known each other about 35 years! 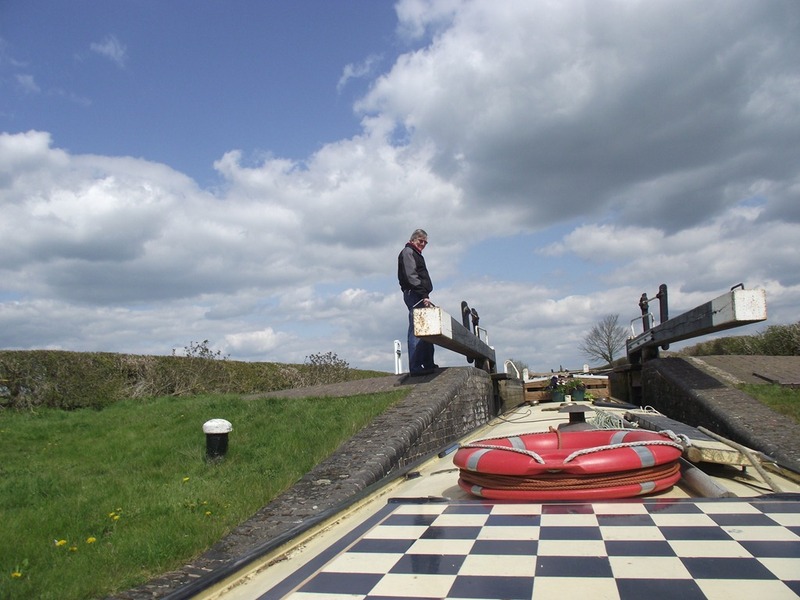 Last Saturday we boated down to Cropredy and stayed overnight, continuing onto Banbury on Sunday. Spring seems to have sprung, with flowers bursting into bloom, a sign declared that Cropredy Marina would be open by spring 2013, but there’s a lot of work before that happens, it’s just a field at the moment! 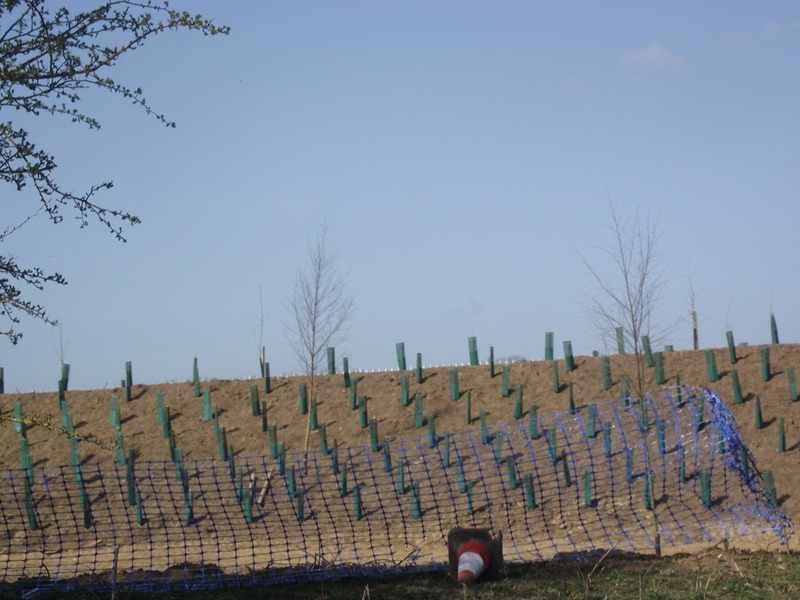 As we approached Banbury we noticed that progress has been made on the flood prevention work and the artificial banks, which now block the view from the canal, are being planted with trees. It seems ironic that this is being completed whilst the canals are desperately short of water. As the school Easter holidays are upon us, we have had a quiet week at work with no students about, not that we’ve been idle in any way with jobs to catch up on that are better done outside of term time, not only that, but we have had our grandson, Morley to stay for a few days. On Monday Jer drove up with Morley and the girls and they spent a pleasant afternoon together making stuff in Banbury Museum who always put some activities on for the kids in the school hols. 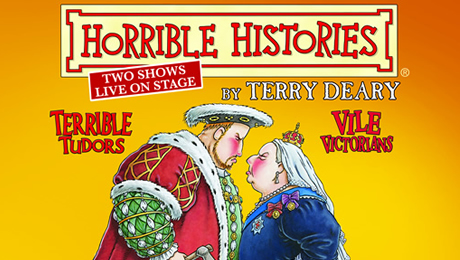 On Tuesday evening we took Morley to see Horrible Histories at the New Theatre Oxford and were treated to gory facts about the Terrible Tudors, which the young audience seemed to enjoy immensely. If you decide to go be sure to choose your day carefully as their flyer didn’t make it clear that the Terrible Tudors and the Vile Victorians were on different days; we expected to see both! 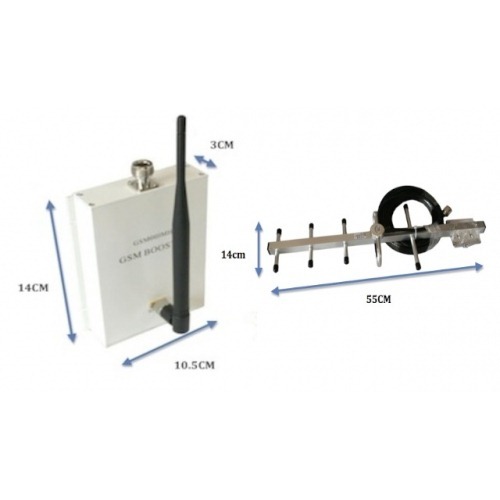 A couple of posts ago I mentioned the idea of a signal booster for our mobile phones, well, one was ordered from Blackbox , complete with a Yagi antenna, as they offer a 30 day money back guarantee and were very competitively priced. The kit arrived about a week later (surprisingly, direct from Hong Kong) and after some experimentation I mounted the aerial atop an old boat hook shaft and success, we had 5 bars on our mobiles! Thanks to Ted for the suggestion, of course he found a better deal on eBay, but ours was new! All that remains now is to fit a telescopic TV mast instead of what looks like a broom handle! I also mentioned, in my last post that our new neighbour, Tom had offered his help to make a bracket for our clothes-airer and true to his word by the time I was back from work the next day he had made it, painted it with primer and delivered it, so I was honour bound to fit it on the back deck where Joy has already put it to good use, pictures to follow when it has been nicely painted too.